You’ve probably figured it out by now, but we’ll state the obvious: pizza is delicious. And what’s better than some freshly baked pizza to kick off a Friday night? 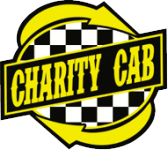 As experts of the area, our cab drivers know a thing or two about the best pizza places in the Tri-Valley. Not only do we love pizza, but we give rides to a ton of fellow pizza lovers every week! We want to share with you the best pizza places in the Tri-Valley – heck, we’ll even give you a ride to one. What’s Good: Melo’s is the kind of restaurant you could eat at every day of the week and still find something new. Their pizzas run the gamut from east coast classics like the New Yorker to new west coast staples like BBQ chicken, but you’ll also find generous dinner salads, pesto sliders, and Italian pasta classics on their menu. With an open, casual atmosphere, Melo’s is one of the best places on our list for large groups. Our favorite pizza: You can’t go wrong with Melo’s Combination pizza, with pepperoni, salami, mushrooms, ham, linguica, bell peppers, and sausage. 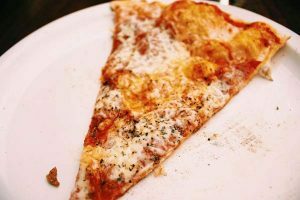 What’s Good: If you grew up in the Tri-Valley, you have to have eaten at Gay Nineties PIzza – or at least heard about it. While the pizza here is a little more expensive, it’s some of the best around. Fresh ingredients, an old-school atmosphere, and friendly employees make this a must-stop pizza shop. Their meatball sub and chicken parmesan subs are also crowd pleasers. What’s Good: Sometimes you just want pizza on the fly, not from a sit-down restaurant. Pizza Bello is one of the best pizza restaurants in the Tri-Valley that does pizza by the slice in a variety of flavors. Grab a slice and be on your way, or sit down for a bit and enjoy a beer while you watch the game on their huge flat screen TV. Our favorite pizza: The chicken pesto pizza. What’s Good: Patxi’s was an instant hit once they opened their pizza place in Livermore. While you can get thin crust, we recommend ordering one of their deep dish pizzas . It takes a while to bake (they recommend ordering ahead 45 minutes or else be prepared to wait that long or more for your pizza), but it’s so worth the wait, especially for those who have never before experienced the glory of deep dish pizza. It may sound funny if you’ve never tried it before, but be sure to try pouring honey on your leftover crust. Our favorite pizza: The Matt Cain or Vegan deep dish. What’s Good: Frankie Johnnie & Luigi Too is one of those places with that local charm. Specializing not only in pizza, but in pasta and other Italian foods, this is a great place to go if you need a variety of dishes to make everyone in the family happy. Even if you’re not in the mood for pizza, try their sausage bread, penne calabrese, or meatballs. What’s Good: If you’re looking for a pizza with a lot of personality, you need to check out Fahrenheit Wood Fired Pizza in Pleasanton. At Fahrenheit, they toss, assemble, and cook the pizza right in front of you, wood fired oven and all. Enjoy a beer while your pizza bakes happily, then dig into a Porkatarian, Sweet & Salty with balsamic onion jam, or a Big Philly. What’s Good: A-Town Pizza is one of the few places you can get great thin crust pizza and lots of traditional Afghani entrees off the same menu. Our favorite pizza: The A-Town Special, featuring 20 different toppings. What’s Good: Tandoori Pizza in Dublin doesn’t just serve Indian food and pizza side by side: they actually combine them. They’ve got curry pizza, paneer pizza, ghobi pizza, and more. Labeled as “ethnic fusion pies,” Tandoori Pizza is a fun place to visit with family or friends who have more adventurous tastebuds. They also serve traditional American-style pizzas for those of us who just want a straightforward pizza. What’s Good: Speedy service, lots of tvs, and an amazing variety of pizzas – is this heaven? 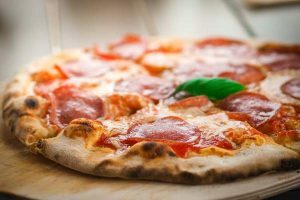 Cravings Stone Fired Pizza in Livermore is conveniently located downtown. 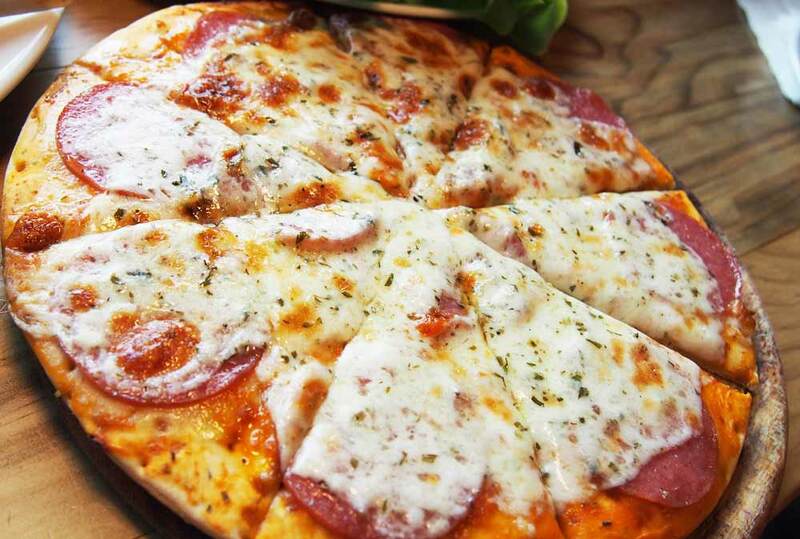 They offer nice selection of traditional, speciality, and gourmet pizza flavors. From pear and prosciutto or genoa clams to traditional cheese or combination pizzas, there’s something for everyone. What’s Good: There’s something beautiful about the pairing of pizza with wings – and OH Pizza and Wings does it justice. The wings are good and flavorful, and the pizza is cooked in a 700 degree brick oven. Go here for fun twists on classic favorites, and don’t forget to grab an order of wings, too.